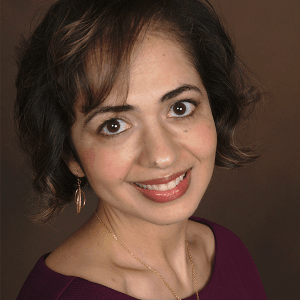 Dr. Sami is a practicing pediatrician in Arlington VA. She is a member of the American Academy of Pediatrics, as well as the AAP Council on Early Childhood and the AAP Section on Obesity. She has also been selected to serve on the AAP Section on Osteopathic Pediatricians Research Subcommittee. She attended medical school at Midwestern University’s Arizona College of Osteopathic Medicine, then completed her pediatrics residency at Sinai Hospital in Baltimore. Prior to her medical studies, she obtained her Masters of Science in Public Health degree at the University of Colorado Health Sciences Center School of Medicine. Her involvement with the IAMS-GW included serving on the Foreign Medical Graduate/Medical Student committee in 2014. As a new practicing physician she is passionate in assisting those in pursue of their career in medicine, in particular Foreign Medical Graduates. She has served as a liaison with Kaplan preparatory course and immigration attorneys, and has thus been influential in creating the first and second FMG/Medical Student Residency workshop for IAMSGW. Some attendees of these workshops have successfully been accepted to a residency program. Others have found a pathway towards success. She was also a presenter at the May 2016 IAMSGW CME conference.